The release that was on everyone in the EU’s mind this past weekend, a shoe with Volcanic comparisons was always going to cause a release of epic proportions! 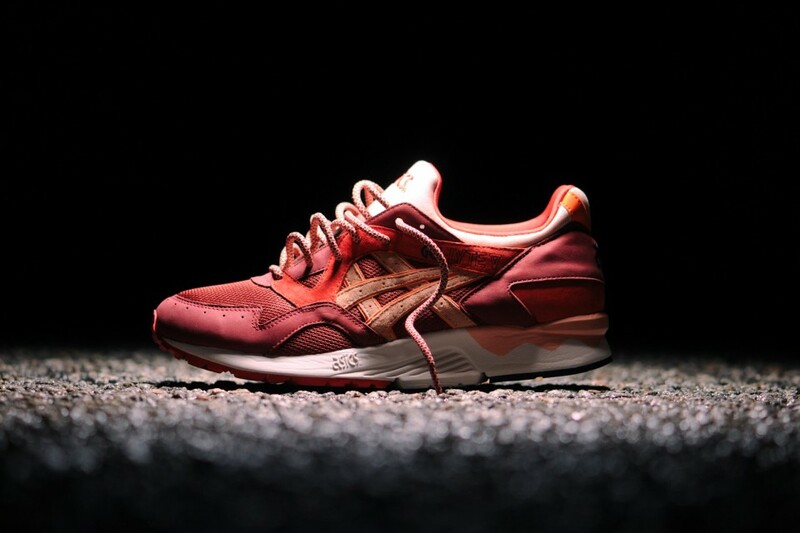 Finally, a Ronnie Fieg collaboration with Asics was getting a worldwide release, not the usual Gel Lyte III but the stunning silhouette of the Gel Lyte V and there was no need to be sat behind a computer screen constantly hitting refresh for all the stock to be sold out in minutes. There was to be 4 stores receiving stock within the UK and everyone knew that quantities would be extremely limited, ranging from 7-12 pairs, so if you wanted to secure your pair, you had to be willing to brave the cold at either Foot Patrol (London), Wellgosh (Leicester), End Clothing (Newcastle) or Hanon Shop (Aberdeen) for a release on Saturday 16th of November. As you can imagine, queuing at Foot Patrol had started before any of the others and with queues 30 people deep, it was inevitable that there was to be many disappointed people braving the cold for nothing at the end of it. 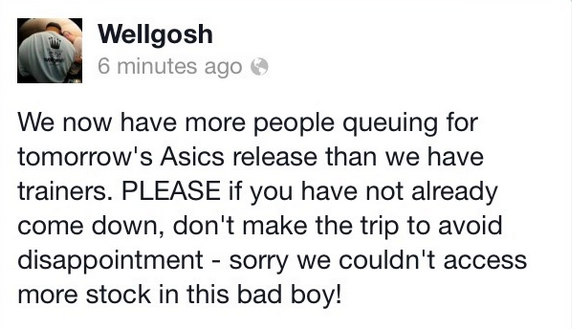 However, on the other end of the spectrum, the good people of Wellgosh advertised that there was more people queuing than they had pairs of the shoe and advised anyone else who was planning to venture down to not bother and to just stay at home. Image taken from Wellgosh Instagram. 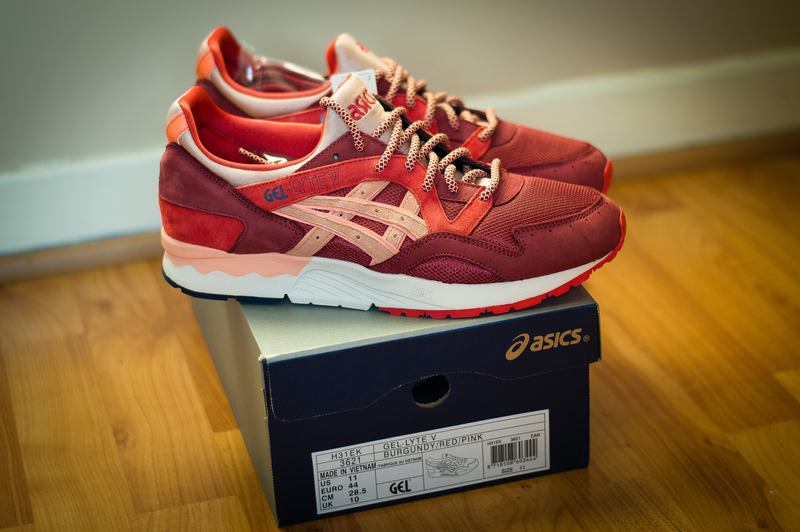 Being from Aberdeen, a good friend of mine had asked if I would be able to help him out on securing a pair in his size from Hanon Shop, so after a week of keeping my ear to the ground and making plans to be first in the queue, 11am on the Friday sounded like a great shout…. however, a 23 hour camp did not. By 5pm that evening, all 10 pairs that Hanon Shop received had been accounted for and via Instagram, we tried to make everyone that was local aware that there was no point in coming down, so off to the pub next door it was for some heat, a jukebox, and a beer! 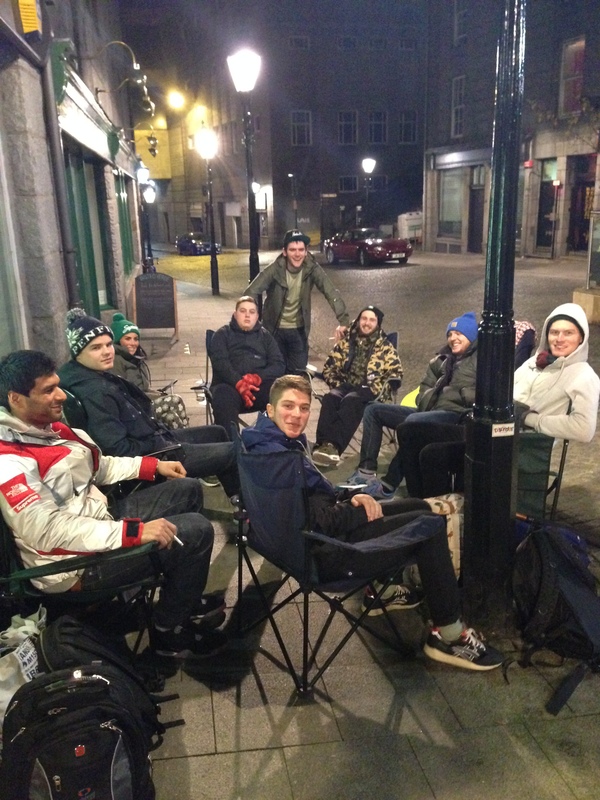 Props to everyone that queued for the great banter and even better company amidst the cold Scottish weather (at least the rain stayed off..), and big shout to the good folks of Hanon Shop for the hospitality on the Friday and the early opening on the Saturday! Previous Previous post: To begin..